Marajao na Bayod! Good Waves! 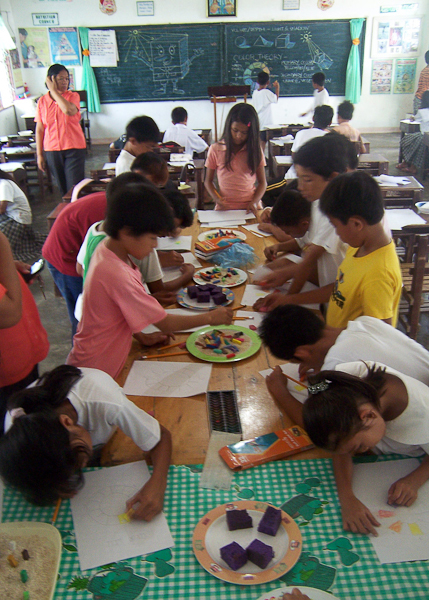 Balkbayod would like to thank all of those who supported us during our trip to the Philippines in November 2011. The three weeks on Siargao Island was a memorable experien ce. We had a Balikbayod unit traveling strong with us, and with everyone’s hands in the mix, we were able to accomplish more than what we anticipated – from conducting meetings with teachers to exchanging waves with the kids. With only a few days to spare, we had several tasks that needed to be completed, yet working beachside underneath the shade of palm leaves didn’t lure us away from our responsibilities. We were fortunate to have a strong attendance from the teachers that were in support of our program. Their concerns were very real and sincere: how were they going to keep the children in school? The teachers that attended our meetings taught elementary school, and their enthusiasm for the project stemmed from the idea of providing tutoring programs that coincided with surf schedules. They hope to train children to think about their future goals with the help of surfing as an incentive. Lastly, they were very concerned for the high school students and were interested in providing a work-trade program that will help the older ones prepare for the job market. members. 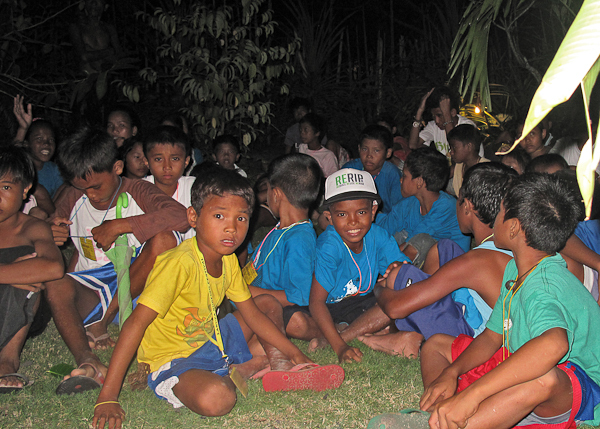 It seemed like the children were really excited and eager to be a part of something, to join a club of some sort, considering they came in groups leading their friends by the hand – or they just wanted one a Balikbayod t-shirt. Through word of mouth, the announcement of the meeting spread through the neighboring barangays of Pang Pang (where we were staying), easily bringing over 70 children. 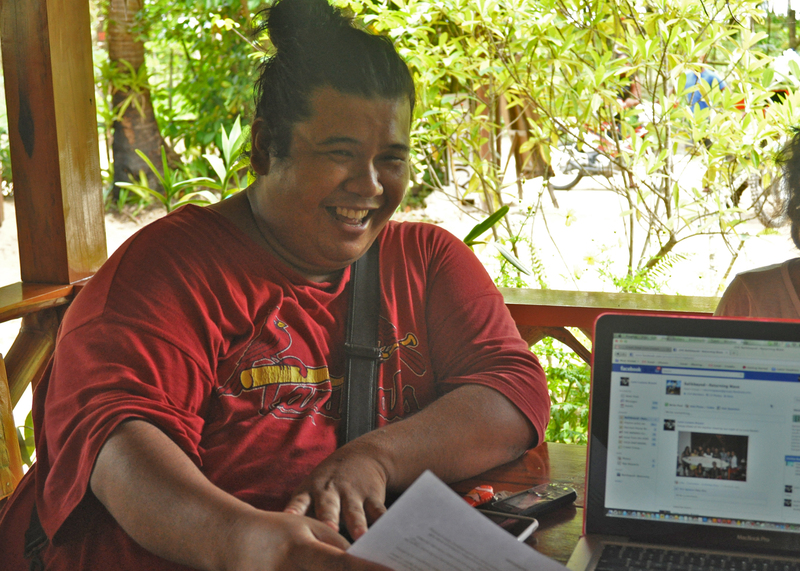 Lynn’s cousin, Boyet Gravino from Cebu, translated the meeting in Visayan, the regional dialect, while each rule was read aloud by a Balikbayod member. The children were so ecstatic when the 40+ boards arrived; they practically slept on the lawn hugging their pre-chosen surfboards. We issued “library cards” for each child to check out the surfboards twice a week, but these cards needed a signature by their teacher indicating that they were in good standing at school. If they weren’t, they were not allowed to borrow the surfboards. off – and he can pull any trick out of the book. A natural born leader, Remar recruited boys around his age to join Balikbayod. His surfing has gained him attention all the way to Manila, where a donor is sponsoring the surgery of this cleft lip palate. Remar is part of the Alternative Learning System (ALS), an education program that helps children earn their high school diploma outside of the formal school system. Those enrolled in ALS have access to our surfboards once a week if he/she continues to attend their weekly ALS sessions. With several committed and talented volunteers and the generous amount of surfboard donations, we creatively and successfully worked in a couple major turning points for Balikbayod. We added a new location on Siargao Island for a second chapter in the small northern town of Burgos, about 1 ½ hours away from Cloud 9. 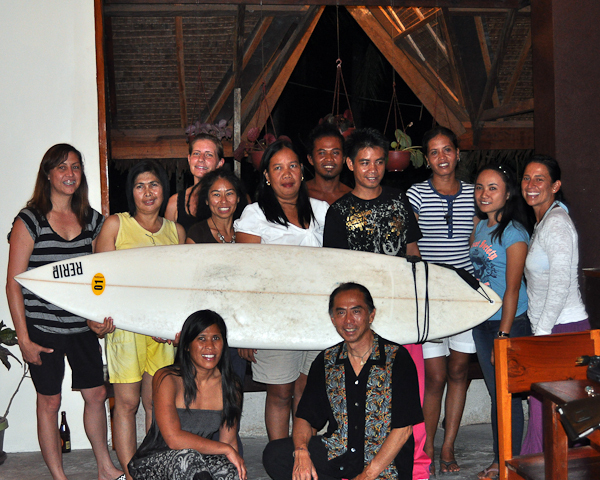 We brought about 7 surfboards to Burgos and enrolled about fifteen students. Jinan Wong, our surfboard repair leader and art instructor, taught a few art classes at a local elementary school where the children learned color theory and how to draw Spongebob Squarepants. In addition, we used some of our monetary donations to bring pastels, pencils, erasers and a wall mounted pencil sharpener – their first one! The children of Siargao dream of catching waves, far from a reality fathomed by their parents and elders who have feared the ocean. Watching traveling surfers and the few daring locals ride such pristine waves has the local youth hooked on trying the sport, and now, with the donated surfboards, they have the opportunity to explore their oceanic playground right outside their homes. Waves break all around the island, and they also surf on the outlying smaller islands, traveling by motorized outriggers called bancas, which we filled to full-tilt with groms and donated surfboards. Our best memories on Siargao Island include surfing with the kids and learning about how it is for them to grow up on this amazing island. It’s a different life than what we have here in the States – a much more simple life without the same opportunities we have here… But, we hope to make a difference through surfing and education. We hope that through education, the kids can expand the possibilities of their future to help them make a difference on their beautiful island, anything from entrepreneurship through coastal awareness. We have a lot more to accomplish and work on, as this is a work in progress. We are still in the beginning stages of implementing our program on a larger scale. Again, thanks for all of your support! We couldn’t have done this without you! Best wishes from the Balikbayod team. Next Post Siargao Balikbayod Needs Surf Repair Supplies!